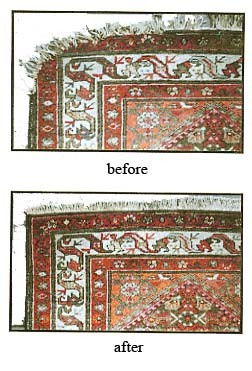 Although hand-made rugs are very tough, they may need attention from time to time. We provide routine cleaning and a professional restoration service, from minor fringe repairs to more extensive work. We can also provide written valuations for insurance purposes.